In Kooperation mit Cineflight in Hamburg haben wir ein völlig neues Konzept eines Relaisflugzeuges entwickelt, um wetterunabhängiger, schnell und kosteneffizient eine fliegende Relaistation zu verwirklichen. 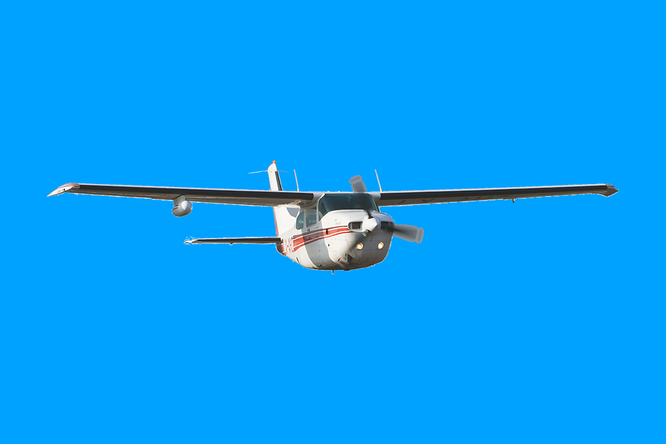 Das Kleinflugzeug vom Typ Cessna-210 bietet die Möglichkeit der technischen Ausrüstung mit Empfangs- und Sendetechnik für die Übertragung von Video, Audio, Kamerasteuerdaten und Kommunikation. Der Innenraum ist geräumig genug um zwei Piloten, einen Systemtechniker und die gesamte technische Ausrüstung auch bei lang andauernden Einsätzen bequem unterzubringen. Flugzeug und Crew sind für Einsätze bei schlechtem Wetter (IMC) zertifiziert bzw. ausgebildet. In cooperation with Hamburg based Company Cineflight we have developed a brand new concept for a fixed-wing relay-airplane. Our goal was to develop a solution that could fly in all weather, was fast and cost effective for flying relay operations compared to what is currently available on the market. The Cessna 210 carries all receive and transmit equipment for broadcasting video, audio, camera control and communication for long range operations. The aircraft fuselage is big enough to comfortably accommodate the flight crew and a systems engineer even on longer missions. The professional flight crew is Instrument Rated, the Plane is equipped for IFR and Known Icing condition. Therefore the plane can still be operated in marginal weather condition (IMC).